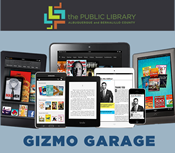 Come to our Gizmo Garage, for those needing help checking out, downloading, and transferring to devices. Bring your library card, device and/or laptop. No registration required. For all devices. If you have a new tablet or need personalized help with library apps, this class is for you. Please bring your device and its passwords as well as library card and PIN. Registration is required and limited to 1. For more general 1:1 computer help, classes are held at other branches, a list of which can be found here. 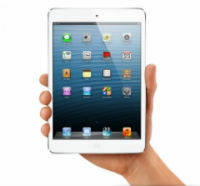 Come to our Gizmo Garage, for those needing help checking out, downloading, and transferring to devices. Bring your library card, and device. No registration required. For devices that take apps only.